Painting has always been central to my life, reflecting the experiences and events that have happened throughout the years. 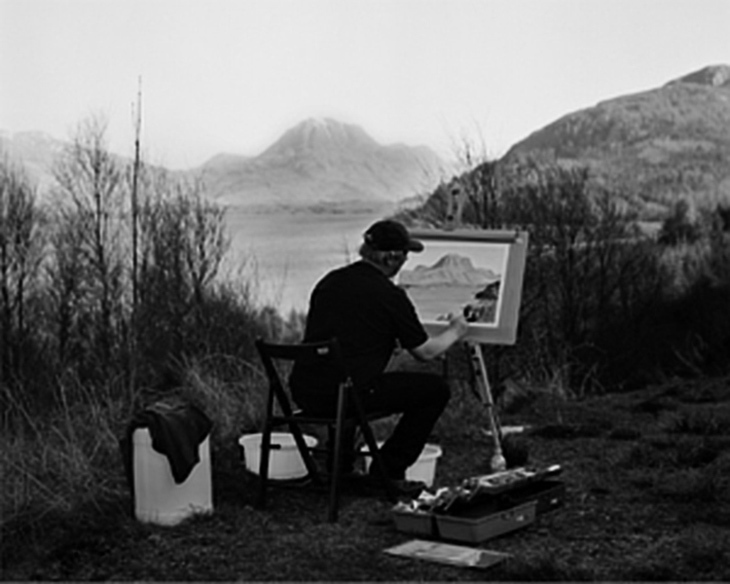 I have painted landscapes and seascapes, portraits of children and animals, motorcycles, cars and other vehicles, buildings and architecture, the golf courses of Scotland, and illustrations for books and album covers. I have also produced traditional hand painted signwriting for, amongst others, record shops, hotels and vehicles, and UV artwork for nightclubs and raves. The materials used have been wide-ranging, from coloured pencils, crayons and pastels, through watercolour, acrylic and oil paints, and I continue to explore new techniques and methods, most recently the use of palette knives. This diverse and varied body of work is featured in Gallery One. Gallery Two is devoted entirely to the paintings and drawings I have produced remembering and celebrating the Free Festivals and New Age Travellers. 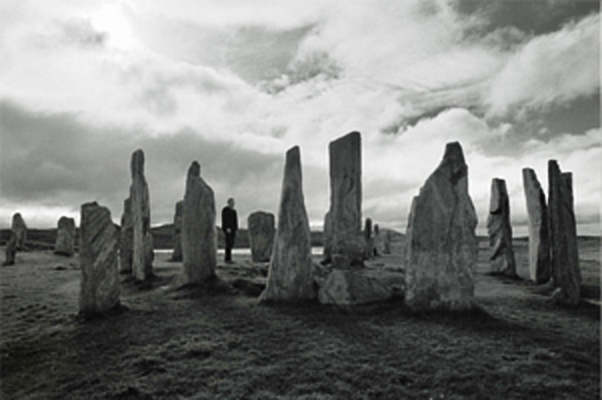 It was during my art college days I first came into contact with the community of Green Lane and the Stonehenge Free Festival, happening just up the road from Salisbury, and I was drawn inexorably into this anarchic, alternative world. 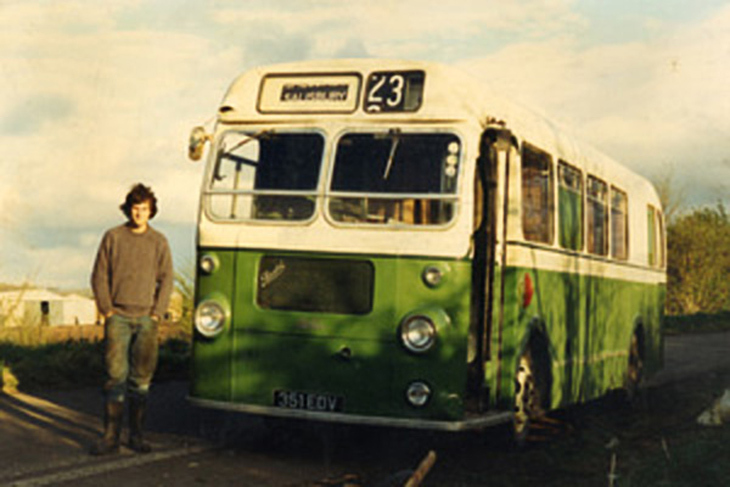 By 1986 I had bought a vintage Bristol bus which was to become my home and art studio for the next 7 years. I worked En Plein Air drawing and painting the scenes in front of me, and produced over 120 different drawings and paintings recording the festivals, gatherings and free parties I attended, the characters I lived with and met along the way, and the vehicles we called home. I also produced screen printed t-shirts, badges and flyers, first for psychedelic and reggae groups, and later, free parties and raves. Eventually my time as a New Age Traveller came to an end but in 2006 I embarked on a new series of paintings to further expand and enhance the work that had gone before, this time working from photos. This new series now numbers around 60 and is set to grow further. I still live in Salisbury, working from my studio at the bottom of the garden. I am available to undertake commissions and I also sell prints of my work. All the paintings featured on this website are available as high quality Giclée prints, don't hesitate to contact me for further information and prices.